An obscure Russian scientist by the name of Pyotr Yakovlevich Ufimtsev wrote the paper in 1962. While the Soviet Union more or less dismissed Ufimtsev’s work as being wildly impractical, Lockheed Skunk Works engineer Denys Overholser saw potential in the Russian physicist’s equations. Overholser’s work resulted in a concept that many at the Skunk Works—including the legendary Kelly Johnson—derisively called the Hopeless Diamond. But soon it became apparent that the ungainly diamond shape was incredibly effective at reducing an object’s radar cross section. As such, the Pentagon immediately awarded Lockheed a contract to develop a demonstrator called the Have Blue as part of its Experimental Survivable Testbed program. The Pentagon was forging ahead full steam to defeat the Warsaw Pact’s increasingly potent air defenses at the time. That was because it was increasingly apparent that NATO air forces would suffer horrific losses if the Cold War turned into World War III. 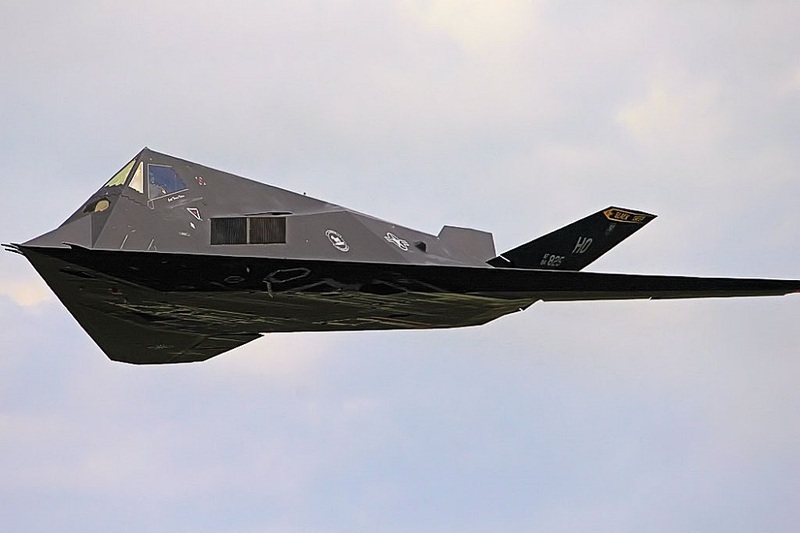 The F-117 first flew in 1981 and eventually entered service in 1983. Lockheed was able to develop an operational aircraft quickly as the company built the jet out of existing components already in use on other planes. The fly-by-wire controls came from the F-16 while the engines were non-afterburning versions of the F/A-18A’s General Electric F404 turbofans. Additionally, unlike later stealth aircraft, the F-117 was constructed using conventional aerospace aluminum—which made building the jet easier. Lockheed ultimately built a total of fifty-nine F-117As and five YF-117As developmental prototypes. The F-117 made its debut in secret over Panama in 1989, but its performance was lackluster. However, the F-117 performed spectacularly well over Iraq during the first Gulf War in 1991. It also served in several subsequent conflicts including the second Gulf War during Operation Iraqi Freedom in 2003. 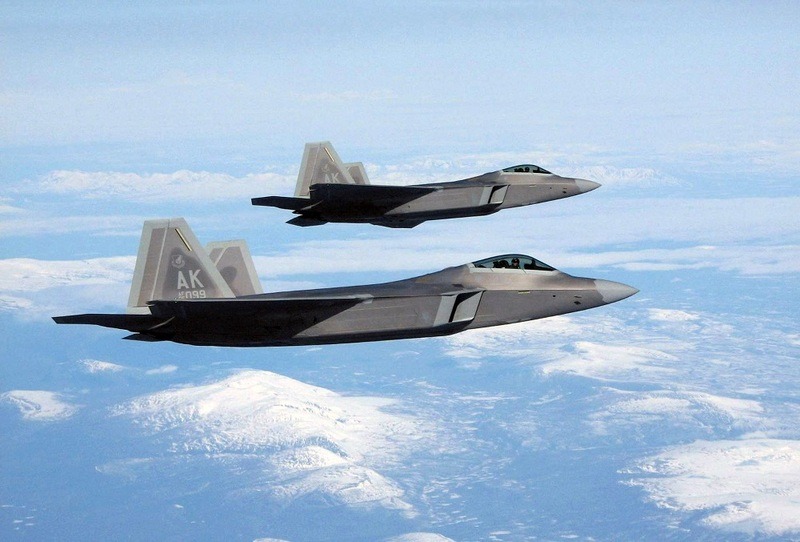 The Air Force ultimately retired the Nighthawk in 2008 as a cost saving measure as the service struggled to pay for the Lockheed Martin F-22 Raptor. At the time, the Air Force claimed that with the advent of the air superiority-oriented Raptor—and eventually the F-35—meant it no longer needed the F-117. During its time in service, only one F-117—flown by Lt. Col. Dale Zelko—was lost over Yugoslavia in March 1999 during Operation Allied Force. Zelko’s experience over Kosovo was the first inkling that the wider public had that stealth aircraft were not invincible nor are they invisible to radar and infrared. Military and national security professionals have never had such illusions, but during the 1990s, many grew overconfident in the capabilities offered by low observable aircraft. But stealth is mere delayed detection and tracking—the idea is one releases their weapons before the enemy is aware of you. Stealth is not a magical cloak of invisibility. But the Air Force had always known that stealth aircraft are not invisible or invincible. In fact, during Operation Desert Storm, contrary to popular belief, U.S. Army AH-64 Apache gunships made the first air raids on Iraq rather than the F-117. Those attack helicopters had one mission—that was to eliminate Iraqi low-frequency early warning radars operating in the VHF and UHF-bands. Those radars can detect and track stealth aircraft like the F-117, which are designed to operated against radars operating in the C, X and Ku-bands. The Apaches cleared a path for the stealth fighters to proceed to their targets deep inside Iraq undetected. 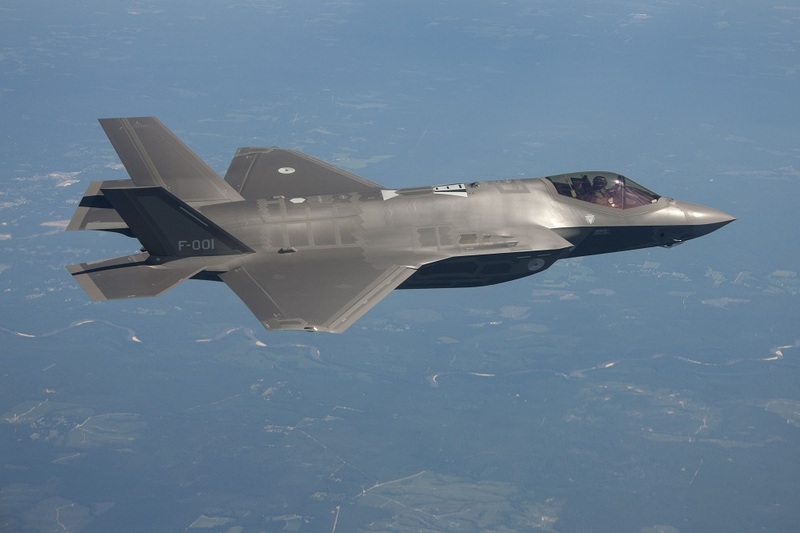 Subsequent stealth aircraft such as the F-22 and F-35 are also designed to operate against high-frequency fire control radars. The concept behind fifth-generation fighters—which in some ways are the direct successors to the F-117 tactical stealth attack aircraft—is that they operate with the enemy potentially knowing that something is present in their air space. The enemy just can’t do anything about their presence however—putting it basically—or so the theory goes. 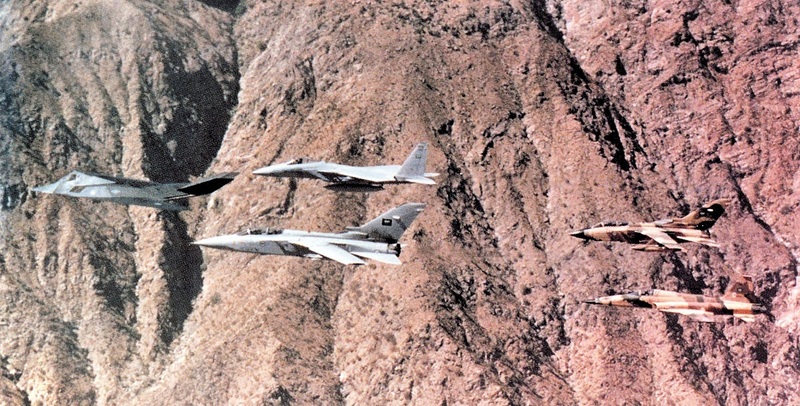 But, despite its public stance, the Air Force has never operated its stealth aircraft without the presence of Navy electronic warfare aircraft like Prowler or jammers. Stealthy strategic bombers like the B-2 however, are designed to operate more like submarines—that is they operate without their presence being noticed. The massive bombers are optimized for “broad band all-aspect” stealth, which means they are able to remain unnoticed even in the presence of low-frequency radars by hiding in the background noise and clutter. But even then, the Pentagon didn’t fully anticipate how quickly the Russians and Chinese would develop low-frequency radars with performance to threaten even the B-2. “We’ve had the ability to map our threats in real time in the B-2 for a while with our Defense Management System (DMS),” said an Air Force official. “But the growth in the EW [electronic warfare] spectrum wasn’t reasonably anticipated and thus precipitated an upgrade into a new DMS.” But even the B-2 is not going to be able keep pace with the evolving threat, that’s why the new Air Force LRS-B will be optimized to defeat those low-frequency systems. But the Air Force official’s statement also highlights why the F-117 is no longer relevant in the ultra high-end fight. Not only is the subsonic light bomber optimized to only defeat high-frequency radars, it also does not have the ability to map out threat emitters and manage its signature in real time like the F-22 and F-35. Nor does it have the performance to survive when it is detected and confronted. But that’s the real advantage of the F-22 and F-35 over not only the F-117, but also the Russian PAK-FA and Chinese J-20 and J-31. The F-117 was entirely dependent on an autorouter to map out its course to avoid threats before each mission. Both the F-22 and the F-35 have the ability to map out threats in real time and are equipped with pilot vehicle interfaces that can make sense of that information for the pilot. In that respect, the Joint Strike Fighter is head and shoulders above the Raptor thanks to years of technological advancements. Multiple Air Force and industry sources confirm that the Raptor has a lower radar cross section over a wider range of frequencies than the F-35 — as the Air Force maintained for nearly decade until 2014 — but the newer aircraft is far better at managing its signature thanks to an incredibly advanced electronic warfare suite. Ultimately, it’s the pilot vehicle interface the United States has developed over the decades at great expense that affords it the edge over Russia and China’s upstart programs. Nonetheless, the United States will have to keep developing new technology to stay ahead.